On a day that the Disney family celebrated a historical milestone, they also readied for the next chapter. Disney chairman and CEO Bob Iger unveiled creative details for the Shanghai Disney Resort at the company's annual meeting Tuesday, including the first-ever Pirates-themed land and a new Pirates of the Caribbean attraction designed for the Shanghai Disney Resort. The announcement comes on the day in 1967 that Pirates of the Caribbean debuted at Disneyland in Anaheim. 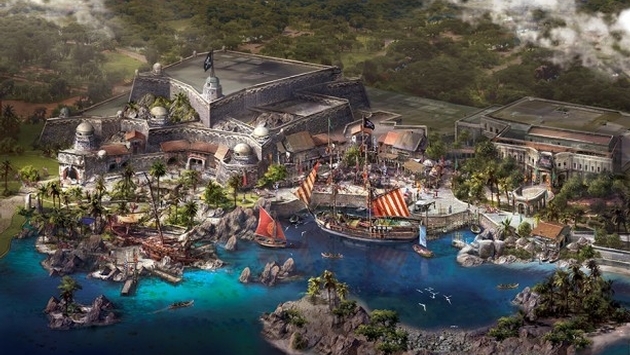 For the first time ever, a Disney park will be home to a Pirates-themed land—Treasure Cove—and an e-ticket attraction called Pirates of the Caribbean: Battle of the Sunken Treasure. The attraction will feature a combination of new technology and innovation to bring guests along a pirate adventure with Captain Jack Sparrow and Captain Davy Jones, providing guests who visit the Shanghai Disneyland Park an experience unlike anything else in the world. The announcement coincides with the completion of key structural work on the Pirates attraction. 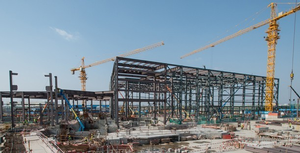 Progress continues with construction and Shanghai Disney Resort remains on target to open by the end of 2015. PHOTO: Structural progress of the Pirates of the Caribbean: Battle of the Sunken Treasure attraction at Shanghai Disneyland Park.